Earlier this year we did a shoot for Mares scuba diving equipment (a division of Head USA). It was a tough shoot done on location in Indonesia. We picked a really hot day to do this particular shoot, which added a lot of stress to the model (Wendy). The image below is one of my favorites from the day. 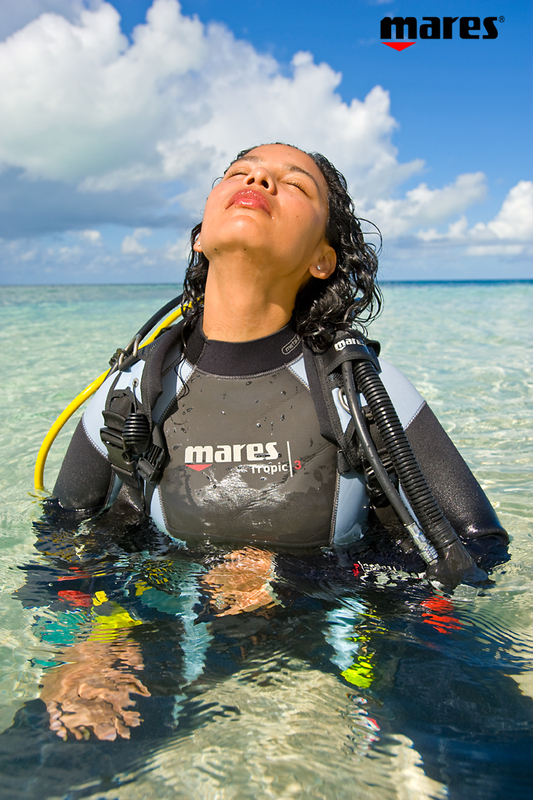 Beyond other uses, I just learned that it will be an 8′ panel on the Mares booth at the big scuba diving industry trade show in Vegas coming up in October. I’m looking forward to seeing it in a large format.